With my first dog, Bailey, I used to leave the radio on to help mask the noise outside, and to keep some "normal human" sounds around. It seemed to help her keep calm while I was out. But over time, it got harder and harder to find a station that (a) came in strong enough (b) played classical or at least mostly calm music. So, for a while I tried news stations, figuring that the sound of human voices might work as well. However, it turned out that the sounds of alarm and anguish that is the standard fare of any news cast upset her. That set me off in search of an alternative for her. I tried other radio stations, but not only were good stations hard to find, now I was also picking local EMS calls on the radio - no matter where I put it. That *really* wasn't good. In the end, I had to resort to burning CDs and setting them to repeat. It worked, mostly. And then Bailey got sick and died, and I stopped looking. 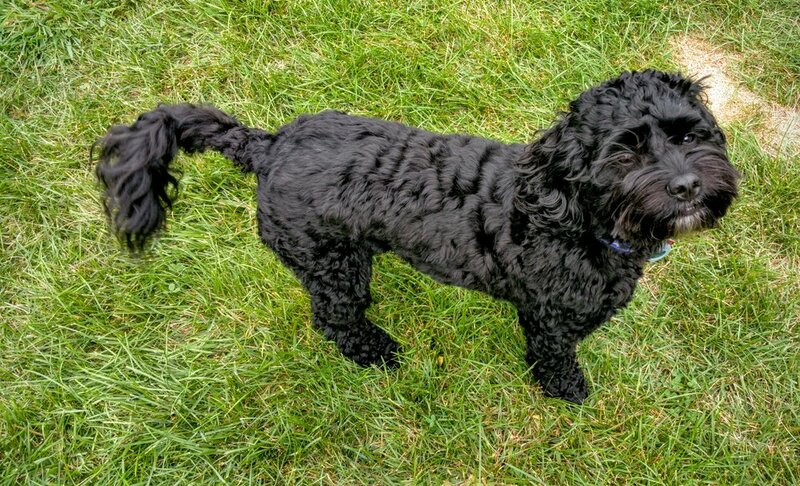 When my next dog entered my life, Mr. Murphy, I quickly noticed that he turned out to not be a fan of loud noises, not one little bit. So, the need to provide some masking noise became a priority again. But this time around, I had found the Amazon Echo to be a handy thing to have around. I was using it every day for alarms, timers, checking the weather and traffic, getting answers to questions, and yes, listening to music. And, in a lucky stroke of timing, just as I was starting to wonder if there was some way to get the Echo to provide music for enough time during the day to help Mr. Murphy - Amazon announced their first Echo Dot. The size and the price make it possible to test my theory. I order it, set up a playlist mixed with soft tunes and music for dogs (yes, that's a thing). Not only did it work, but it turned out that if the power dropped, or I was going to be a bit later getting back, I could restart the playlist from my phone or laptop. And when needed, for example when a storm is due to roll in, I can adjust the volume from my phone or laptop too - from anywhere. Bonus! So, Yes, I Bought an Amazon Echo Dot For My Dog - And It Works Great! 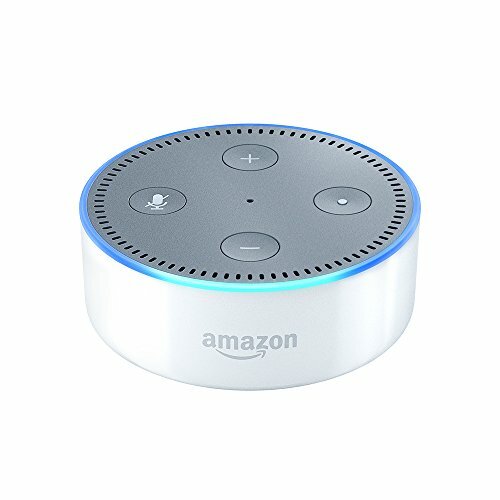 It may not be a use that anyone intended, but it turns out that the Echo Dot is the perfect solution to our problem.